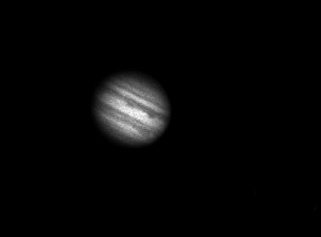 Two images of Jupiter one month apart. The first image is from December 29, 15:31 UT. 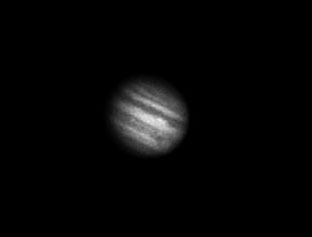 The Great Red Spot is visible at the right rim. A very bright spot is seen in the lower part of the northern equatorial belt. The second image is from January 29 - 1999 16:22 UT. You can see one or perhaps two festoons in the northern equatorial belt. The Great Red Spot is situated at the right rim.